Few things make me feel as ‘put together’ as a set of freshly manicured nails. I always think that someone could be wearing the most glamorous outfit ever but if their talons are looking tatty it kind of ruins the overall effect. Unfortunately I’m rubbish at doing my own nails so I have to turn to the professionals to give me a decent paint job. Regular manicures only last a few days on me (especially as I always forget to wear gloves when doing the washing up!) and while I’ve tried gel manicures, they feel too thick and a bit like I’m wearing a set of false nails. A few weeks ago I went for a Shellac manicure and for me this is definitely the way to go. It feels like a normal manicure once it’s on but lasts at least two weeks (probably longer if your nails are in better condition than mine and you remember to wear those rubber gloves!) 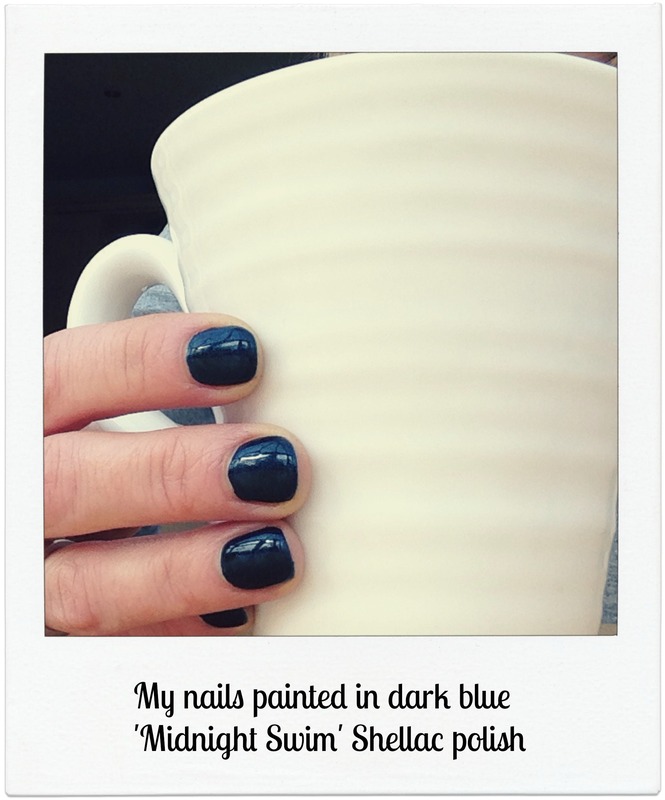 I had my second Shellac manicure today and chose a dark blue colour with a little bit of sparkle in it. So now, even if I’m on the school run wearing an old tracksuit and with my hair in a messy bun I know that at least my nails are looking glamorous!